Understanding the features and specifications of Bench Type Curing Oven models such as NB-350 and NB-550 helps you make an ideal selection as per your applications. You will also find information on the additional equipment that is available at ACE to enhance the operation of these models. 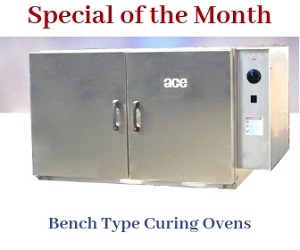 Would you like to know about the applications, features, and benefits of ACE’s highly reliable and efficient Install-it-yourself Batch Oven Kits built on industrial standards? Here you will get all the basic and essential information.